While we have all had a sudden trip from time to time, it is vital to take the appropriate measures to minimise and prevent risks associated with falling to reduce the likelihood of further falls, injury or harm and prolong independence and quality of life as we age. 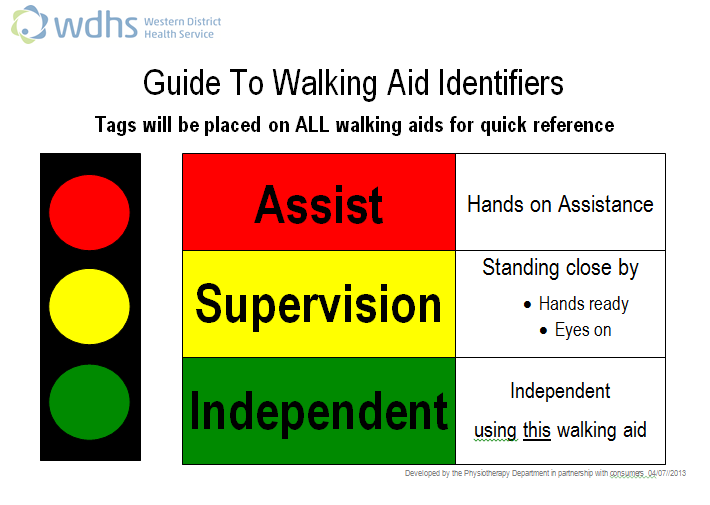 How can WDHS help you in preventing falls?? When you are in hospital: All patients over 65 will be screened using a Falls Risk Assessment Tool on admission or at pre-admission clinic, this helps the staff decide what particular strategies will help keep you safe from falls. 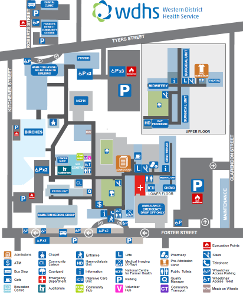 Staff in the hospital can organise for a Physiotherapist or Occupational Therapist to see you either in hospital or once you go home – please ask the staff if you are interested. - Having proper fitting shoes/slipper instead of floppy slide-on shoes – remember you don’t feel yourself when in hospital. - Falls and Balance Exercise Class (Patients must be referred by a Physiotherapist or Exercise Physiologist). An exercise class aimed towards helping improve balance and mobility, muscular strength, cardiovascular system, endurance and bone strength.